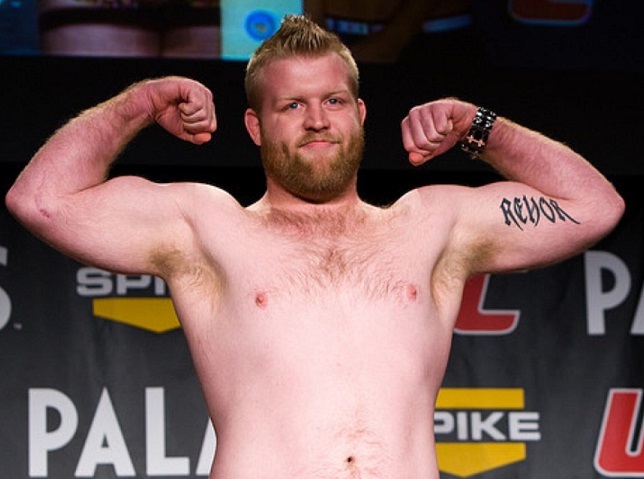 After nearly a five year absence from mixed martial arts (MMA) competition, Justin Wren took to the popular MMA community forum at mixedmartialarts.com to announce his return to the sport. Wren (10-2) made his biggest splash in the sport when he landed on the cast of season 10 of The Ultimate Fighter. Wren would be the third selection under coach Rashad Evans (sixth pick overall), and would defeat Wes Sims via submission in his first fight of eliminations. 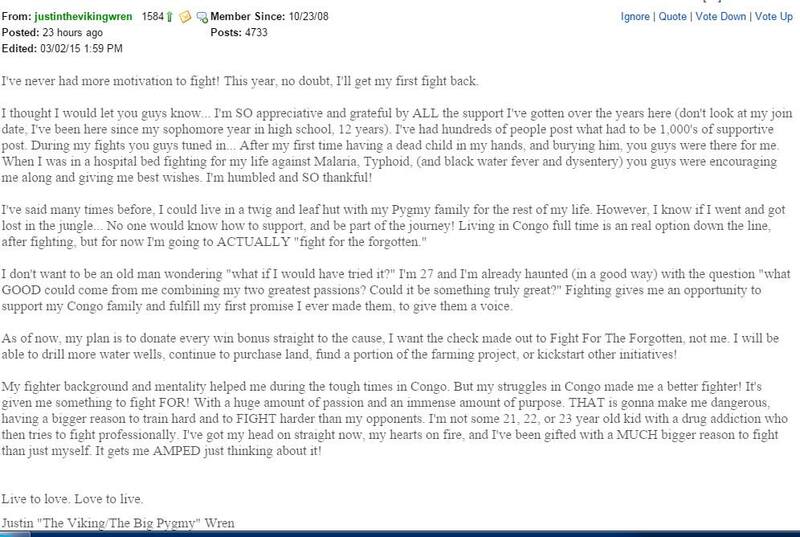 Wren would then lose a close decision to Roy Nelson, who many (including Dana White) felt was controversial, feeling that Wren should have been awarded with the win. Wren only fought once in the UFC (excluding the TUF “exhibition” fights), losing a split decision to Jon Madsen. Following his loss to Madsen, Wren would go on a three-fight winning streak outside of the UFC. His last fight was in July 2010, when he defeated Josh Robertson via submission at Fight Force International. Albeit winning his fight against Robertson, Wren would sustain a back injury from a takedown which would then require him to get back surgery to repair discs. 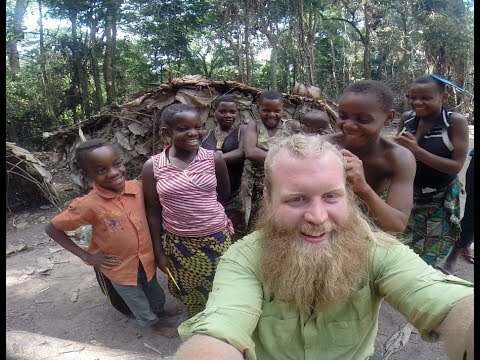 Since his departure from the sport, Justin had spent time doing humanitarian work in Africa, where he has helped Pygmy villages and the villagers with liberating them from slavery, preserving the rainforest, and wildlife conservation. Justin’s work was not easy, as he would contract life threatening diseases such as Malaria and Typhoid fever. According to Wren, he will resume his training with Team Takedown with his former wrestling coach (who is also an Olympic gold medalist) Kenny Monday and Marc Laimon, who coaches grappling at Team Takedown. Wren has not specified when or where his return match will be. Previous The Largest Amateur MMA League in the World JUST GOT BIGGER!